The award-winning Los Angeles-based repertory company BODYTRAFFIC is successfully putting the City of Angels on the map as a place that embraces and produces world-class contemporary dance. With just seven charming, persuasive dancers, this small troupe is turning heads with the level of contemporary international choreographers they are partnering with in a city long known for its commercial dance and entertainment scene. 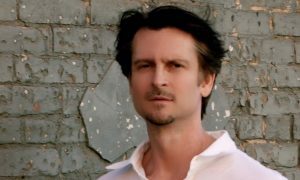 Describing the company as “handsome and effervescent,” L.A.-based writer and dance reviewer Debra Levine went on to say that the company has excitingly brought “high-caliber dance” to L.A. in her take on the troupe’s October performances at Santa Monica’s Broad Stage. 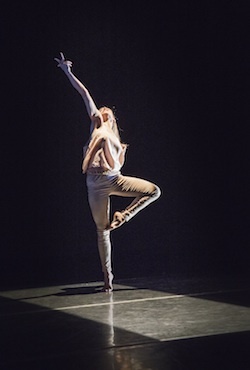 And it’s true – although many other thriving local dance troupes often present quality and site-specific dance, for a city with so many global connections, it seems only appropriate to create a contemporary company that mirrors its international and artistic ambition. The six-year-old repertory company closed 2013 with more notches on its belt and more tricks up its sleeve too. 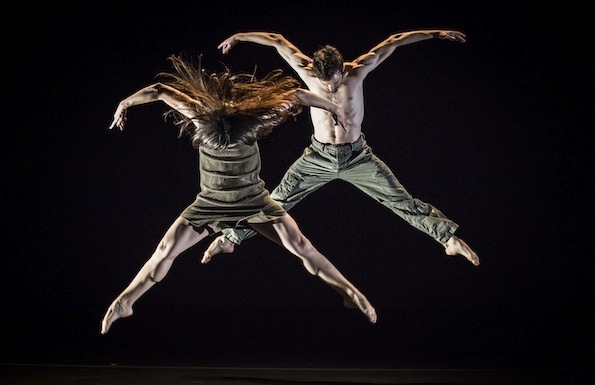 After collaborating with numerous highly sought-after and renowned choreographers, BODYTRAFFIC also made major leaps in its national exposure, celebrating engagements at the Fall for Dance Festival at New York City Center and the beloved Jacob’s Pillow Dance Festival over the summer. The troupe even performed at ODC Theater in San Francisco and the Yes! Dance Invitational in Richmond, Virginia. BODYTRAFFIC in performance. Photo by Christopher Duggan. One reason why the company is clearly thriving is its gracious, humble and aspiring directors, Lillian Barbeito and Tina Finkelman Berkett. With grand vision honed in by warm, unpretentious demeanors and appreciative attitudes, they both reflect on the company’s first six years with hearts clearly brimming with gratefulness and graciousness. They share how they first met in ballet class in L.A., which is ironic considering that at the time both were contemporary dancers coming from different cities. At the time, Tina Finkelman Berkett was actually dancing as a founding member of Mikhail Baryshnikov’s Hell’s Kitchen Dance in New York. She had previously danced with Aszure Barton & Artists, where she had also acted as Barton’s assistant, teaching alongside her both in the U.S. and abroad. Juilliard graduate Barbeito, on the other hand, was coming off of a copious freelance career in Europe, New York and Los Angeles, where she had worked with organizations such as the Metropolitan Opera, New York City Opera, Zvi Gotheiner, the Agnes DeMille Project, American Repertory Dance Company and Helios Dance Theater. In addition, BODYTRAFFIC continues to bring in inventive and highly accredited choreographers at the forefront of the field, including Kyle Abraham, Sidra Bell, Sarah Elgart, Alex Ketley, Barak Marshall, Andrea Miller, Zoe Scofield and Richard Siegal. BODYTRAFFIC’s ever-growing repertory is vibrant, inspiring, diverse and thought provoking while still being accessible to new audiences. 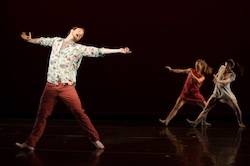 BODYTRAFFIC in Kyle Abraham’s ‘Kollide.’ Photo by Tomasz Rossa. The company recently finished working on a new creation with in-demand choreographer and composer Hofesh Shechter, one of the UK’s most exciting contemporary artists known for his unique physicality and his career with Batsheva Dance Company. Barbeito estimated that the dance work will premiere in fall 2014. 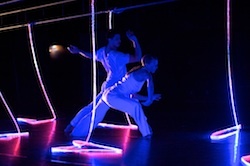 BODYTRAFFIC in performance at the Luckman Center in Los Angeles on May 14, 2011. Photo by Grant Barbeito. This month BODYTRAFFIC is also offering one of its yearly education programs open to the public at Loyola Marymount University – its Winter Workshop. An incredibly exciting opportunity for participating dancers, the workshop is bringing in choreographer Kyle Abraham and certified Countertechnique teacher Kira Blazek, as well as Hubbard Street Dance Chicago’s former dancer Robyn Mineko Williams and resident choreographer Alejandro Cerrudo. 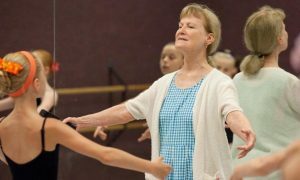 Dancers must apply to be accepted to the Summer Program. The company will choose 25 total participants. For those looking for other opportunities, BODYTRAFFIC also offers sensational master classes and weekend workshops throughout the year, as well as free, open company warm-up classes. Coming up, BODYTRAFFIC has much to look forward to. 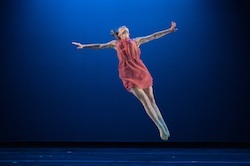 In addition to these education programs and the premiere of Hofesh Shechter’s new work in 2014, the troupe will tour to Quick Center for the Arts in Fairfield, CT, Annenberg Center for the Performing Arts in Philidelphia, PA, World Music/CRASHarts in Boston, MA and an undisclosed venue in Santa Fe, NM. This month, they will perform at APAP in New York, an annual membership conference of the Association of Performing Arts Presenters. “The last six years has been a feat with the economic climate and trying to start a company from scratch, but now with APAP and more touring opportunities, things are beginning to look more positive and sustainable,” Barbeito said. The company is also highly anticipating a new creation residency with choreographer Victor Quijada, Co-Artistic Director of RUBBERBANDance Group, in May in Los Angeles. Berkett enthusiastically called it “a super exciting commission” and shared that a set will be built for the work by L.A.-based artist named Gustavo Godoy. For more information or to see BODYTRAFFIC’s tour dates, visit bodytraffic.com. 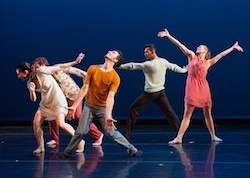 Photo (top): BODYTRAFFIC in choreographer Kyle Abraham’s Kollide. Photo by Tomasz Rossa.